Built this up over the weekend. Very happy with it. Had been thinking about something like this for a while but then a 50% on this Curve frameset in my size forced my hand. 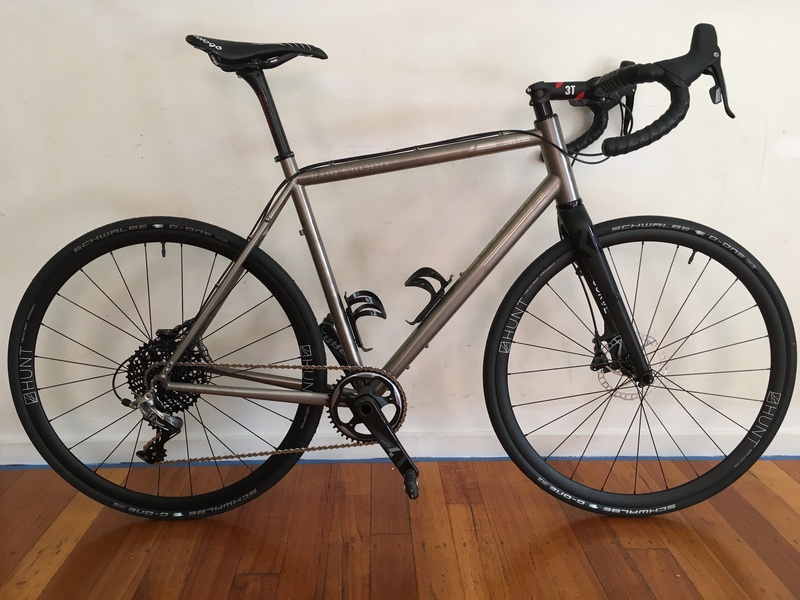 Sold 3 bikes to build it as an all-road, gravel, bikepacking do everything fast bike. Might yet sell my MTB as I’m thinking this will cover pretty much all the off-roading I like to do. very nice mate, very nice. Killer build. 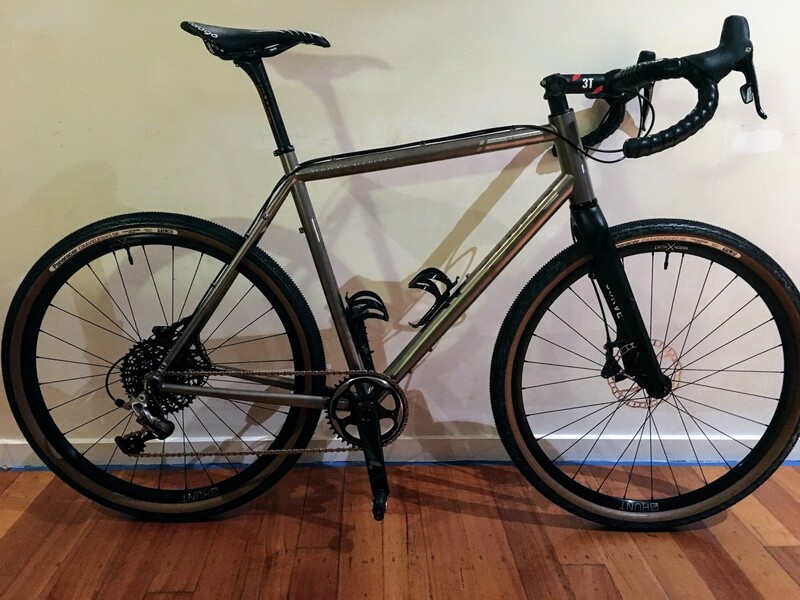 Maybe it’s just the large frame and O/S tubing, but at first glance those 49mm tyres look more like 32s, and the 30s look like 25s.